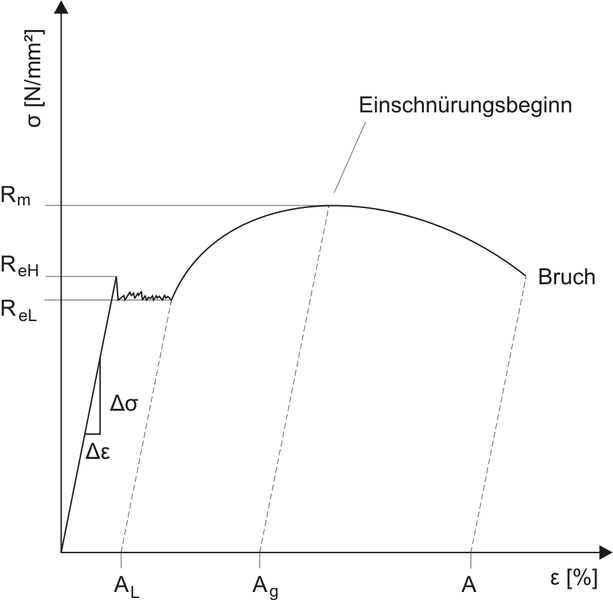 According to EN ISO 6892 (DIN EN 10002) it serves for determination of strength and deformation characteristics that are the basis for strength calculations. For this purpose, a tensile test specimen is evenly and slow loaded in axis direction. The load can be applied mechanically or hydraulically. In order to ensure a comparison of the results, the sample shapes are defined in respective standards. The test is carried out at tensile test samples clamped in a calibrated material tester and tensile loaded with a defined strain rate until breakage. The execution, sample size, sample materials and testers of tensile tests are exactly defined in EN ISO 6892 (DIN EN 10002, part 1). The addition “part 1” in the name of the standard refers to the execution of the tensile test at room temperature. 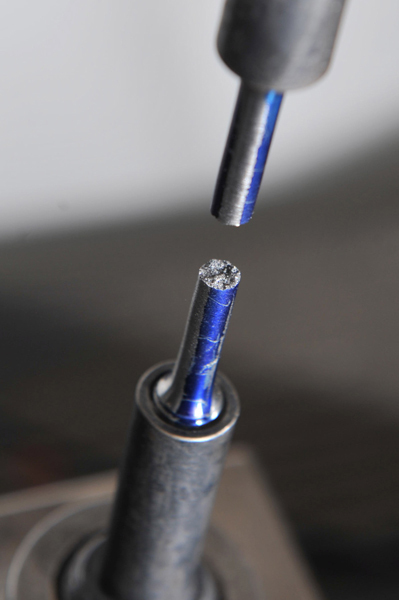 The measured and recorded tensile forces are referred to the initial cross section of the tensile test sample. The resulting nominal tensile forces are applied in a tension-yield diagram.